A combi boiler installation is usually a straightforward affair, but one which still requires expert installation and supervision. Combi boilers are slowly becoming the preferred choice all over the UK and around the world for being compact and providing heating and on-demand hot water. Even if you have a larger property, there are still combi boiler options available for you! We’ll look into that in more detail in this post. Your starting position should always be to think about what type of boiler and system you currently have before you proceed with a combi boiler installation. Depending on your circumstances, the boiler installation cost may vary. So, before you get online boiler quotes on the internet, always make sure you have the correct information. There are also some other technical issues to consider when upgrading your boiler and system, which we will cover later in this article. Also don’t forget about the money and reducing your carbon footprint (you will be doing your little bit for the planet) and you will be saving a tonne of your hard earned money on energy bills by getting a brand new A rated condensing combi boiler installation. 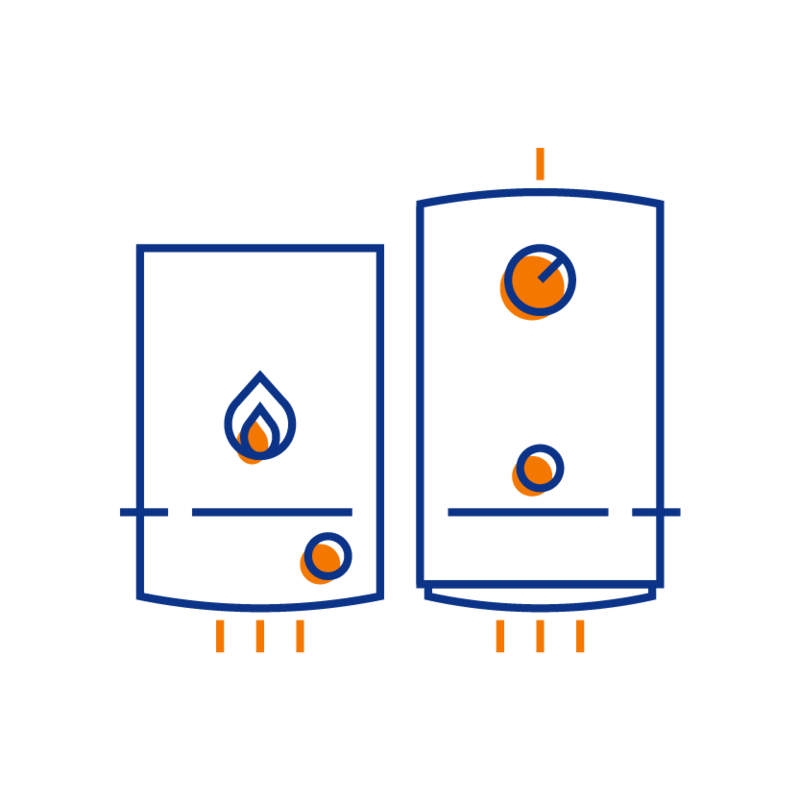 Combination (Combi) boilers (available for Mains Gas, LPG and Oil) are generally considered to be the easiest and most cost-effective way to install a central heating system. 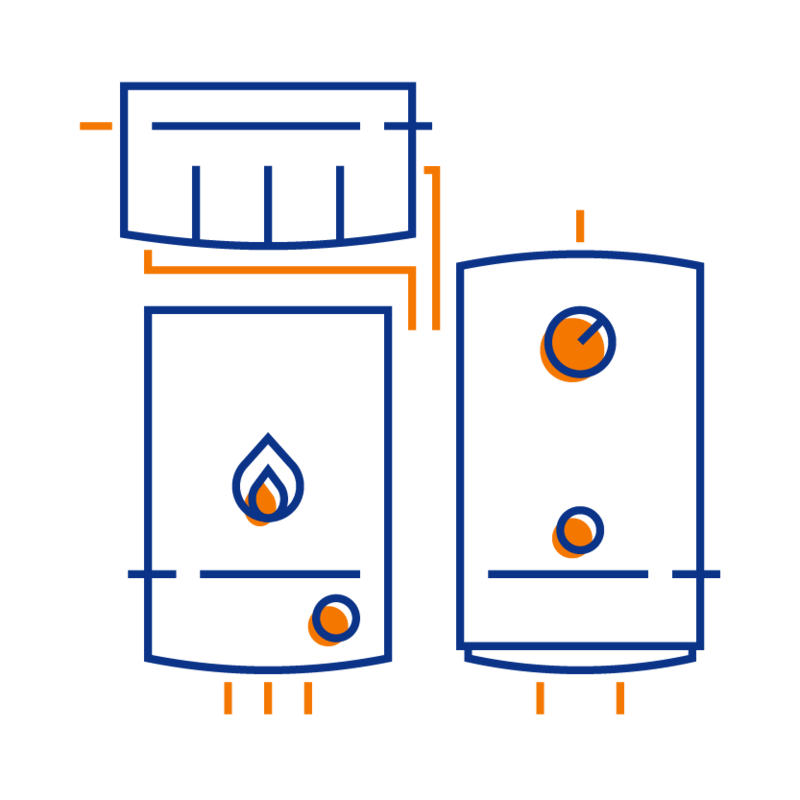 These boilers have no cold water attic tanks or hot water storage cylinders. Instead, they heat water for central heating and domestic hot water as required, or “on-demand” (a bit like a pay as you go mobile phone, they only start costing you when you make phone calls). The central heating portion of a combi boiler installation is on a pressurised closed loop system, heated by the boiler as required. For domestic hot water, the mains supply is fed directly to the boiler. This means no hot tank to refill and a constant supply of hot water at mains pressure. You also save space, as again, there is no need for tanks or cylinders in the house. When your incoming cold-water pressure is too low, they will not work correctly*. If your house has too many bathrooms, a combi boiler may not be able to provide on-demand hot water to all of them simultaneously. There is no backup hot water option if they don’t work*. *If you choose a reliable boiler brand with a Stainless Steel Heat Exchanger and 10 years warranty, there is no reason why they should break down. And even if they do run into any issues, they can be resolved within 24-48 hours UK wide. A system boiler still has a hot water tank, but has done away with an exterior pump and header tank. The pump is an integral part of the boiler, which also has an expansion vessel to replace the cold tanks. Other integral components include a system programmer and valves. System boilers are far easier to install than conventional heating systems. A System Boiler is costly to install as a new cylinder is required. More components can go wrong. You will require extra space to store the cylinder. Conventional/Open Vent or Regular or Standard Boilers are being replaced by combi boilers and system boilers where appropriate. However, if cold water pressure is an issue at your property, it may be better to stay with this type of boiler. A conventional boiler system is fed by 2 header tanks in the loft. There is a pump that is used outside the boiler to pump water around the radiators ensuring the central heating system is working. The hot water is stored in a cylinder which supplies hot water when required. In addition to this, these systems require hard wired control systems. More components to go wrong. Can suffer with low water pressure on taps close to the tank. 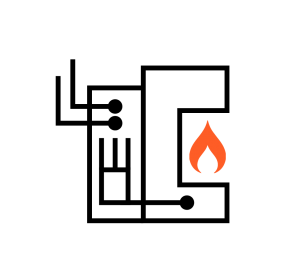 Another type of conventional boiler is a device which is fitted at a residential open fireplace to enable you to provide both room heat and domestic hot water or central heating. Many of these boilers were installed in the 1970s and 1980s and due to their high build quality it is not uncommon for them to still be running well even in 2017. The main reason to replace them is their low efficiency. It is not uncommon for people with back boilers to have gas bills of £800 to £1000 per annum in small 3 bedroom houses. This is the most urgent type of boiler to replace and could save you £300-£500 PA on your gas bill. What are the main technical issues which will affect the time and cost of combi boiler installation? The below technical issues apply to combi, system and regular boilers. 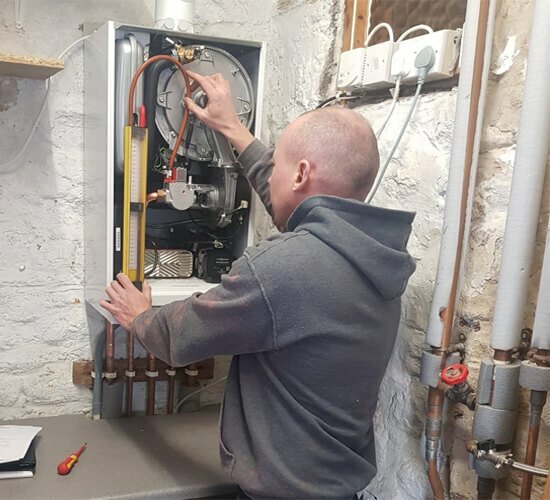 A combi to combi boiler installation is the easiest and the quickest installation as you are only changing the boiler for a new condensing combi boiler. Is your gas supply 22mm? All modern combi boilers require a 22mm gas supply. The gas supply pipe is generally below the boiler, in the middle. Look for a yellow tap in the image above, and you can see the gas supply is the thicker one and will not need to be upgraded. If it does need upgrading, you and the boiler installer will have to think about how to get it from the gas meter to the boiler location. 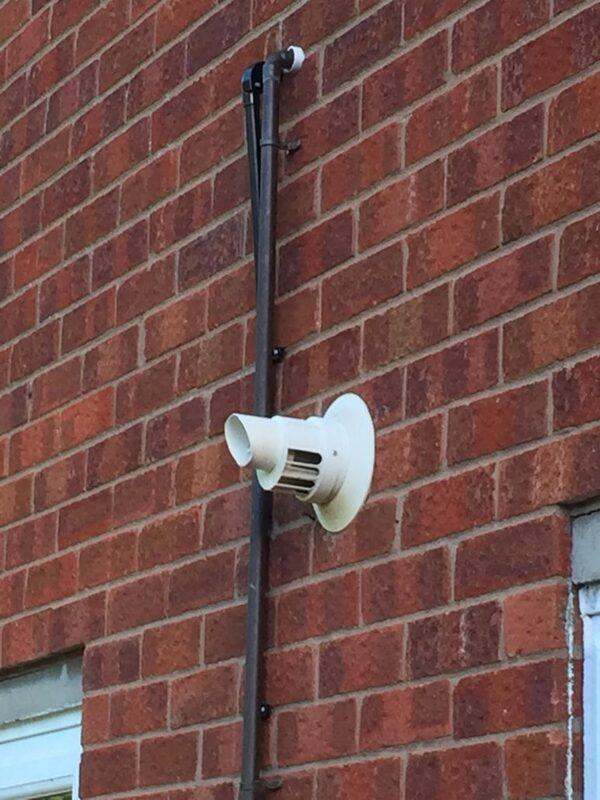 Where will your condensate pipe go? Condensing combi boilers need to emit condensate into an internal water waste pipe or an external drain or soakaway. Flue Position -Building regulations and gas safe requirements have changed over the years, so now all flues need to be 300mm to 600mm away from a window opening. 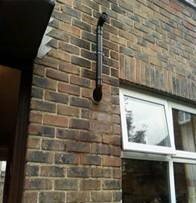 This example shows a plume kit taking the flue away from an opening or a window as per the building regulations. Replacing an existing combi with another combi boiler installation. The two cost scenarios below show estimated costs for a new combi boiler in the same location and for installing a new combi boiler in a new location. Again the cost for moving the boiler will vary according to where it is moved to. In this scenario there are a lot of additional works to remove the hot water cylinder and re-direct the hot water pipes to the new combi boiler location. 1) The back boiler is removed and replaced with a system boiler, but the hot water tank is retained. Type of boiler replacement – average figures. The Gas Safe website can provide details of registered installers in your area. You can call Gas Safe directly on 0800 408 5500. Each installer must carry an ID card, which lists the gas work they are qualified to do. Check it covers the work you’re expecting and includes the words ‘energy efficiency’. You can also check their registration with Gas Safe here. 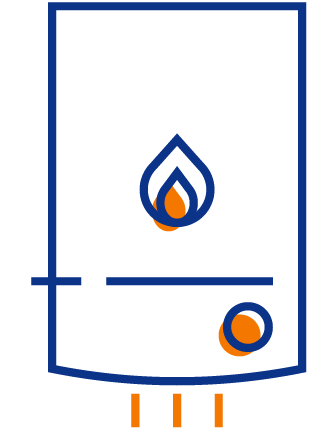 LPG certifications are handled as part of the Gas Safe register. 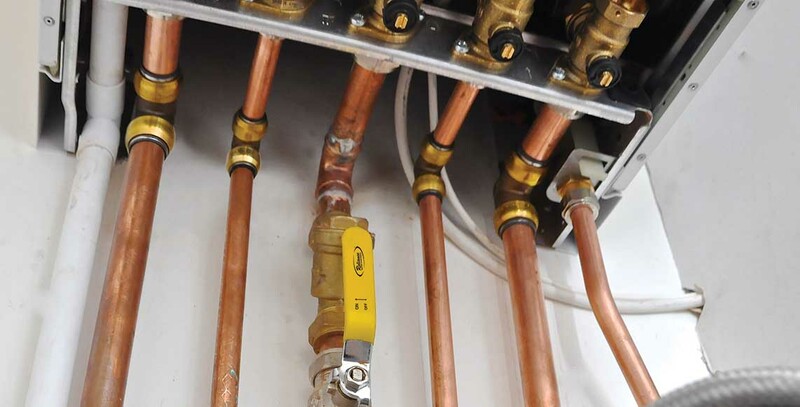 You can check that the engineer or company are trained and competent to install LPG boilers in residential homes and mobile homes using the Gas Safe engineer search linked above. When looking at Oil boiler installations, we would recommend that the engineer or company be OFTEC Registered. The OFTEC site has a service for finding suitable technicians here. If the engineer is not registered, please make sure they show relevant documents confirming they are trained and certified to carry out the installation. In addition to this, if they are not OFTEC registered, they should be a member of some other governing body that provide relevant certification for the works. 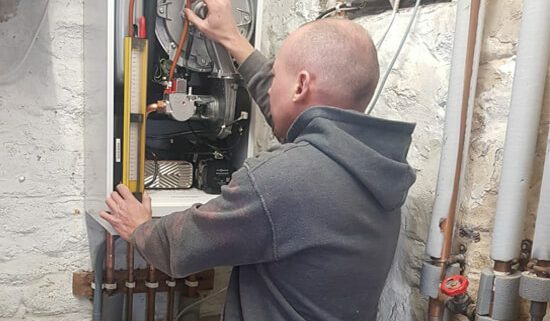 Which Boiler is Best – Our engineers with over 40 years of plumbing and heating experience recommend which type of boiler will be best suited to your property. Best Combi Boilers 2018 – Comprehensive reviews and comparisons of the best combi boilers available in the UK market today. 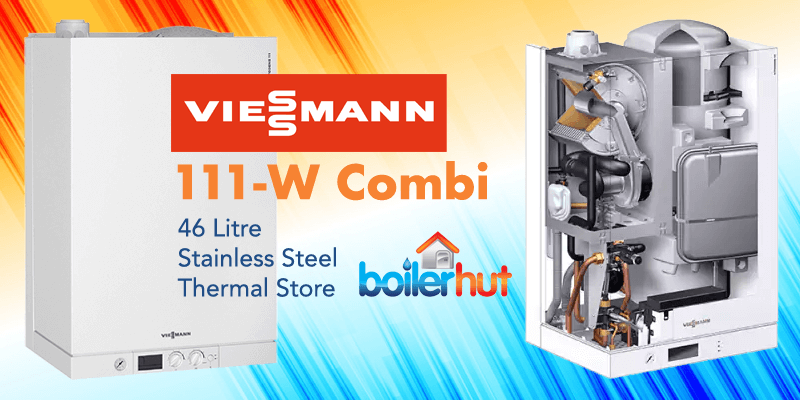 If you’ve got a slightly larger property than a 1-2 bed apartment or a small house, and don’t want to commit to the extra space and spend more energy on a regular or system boiler, Viessmann have a solution for you! Their Vitodens 111-W model with a stainless steel heat exchanger and thermal store is ideal for a larger flat or small family home, as well as larger properties with high hot water demand. What’s more, when space is an issue, it can easily be sited in an alcove in the bathroom, kitchen or utility room. If your property has around 4 bedrooms, 2 bathrooms with a family who has a high water demand at crucial times. For ex. both your children want to get ready for school in the morning at the same time, this boiler should be an ideal solution. This boiler may be too big for a 3 bed, 1 bathroom house, and a 35kW Vitodens 050-W or 100-W should suffice. What you will get is an online estimate based on the options you choose. You can then discuss your boiler options with one of our friendly team members who will offer you help and advice without putting you under any kind of pressure. If you are happy with the price, we will then finalize the quote and install the boiler at your home within 2-3 days. We install boilers and central heating systems all over the UK, and you don’t have to worry about after-sales service or parts availability either as we offer extended 10 year warranties and all parts are readily available at Plumbases all over the UK. In case of any issues, an engineer can be at your doorstep within 24-48 hours. For more information on special offers on a Combi Boiler Installation, please check our Online Boiler Deals page.